Catalyst Crew takes Google Mountain View! Today we visited the Googleplex in Mountain View! This was something that many of us had been looking forward to and there was definitely excitement seeing Google self-driving cars whizzing by as we approached the area. We started the visit with two interesting tech talks from Googlers Ian and Wayne. Ian is a manager in the privacy and security area, and gave us great insights into the value of data and the fact that no company is immune from data breaches. He also touched on the fact that even Google has made mistakes with collecting more data than was actually needed, and showed us how the company has learned from this. It was really interesting to see how their past has shaped their current privacy principles, which focus on transparency. We grilled Ian on what’s keeping him up at night, and as you can imagine, deliberate attacks on user privacy was one of them. There was also interesting discussion around nation states using their cyber resources to target big tech companies and the pressures that this entails. Following this, we heard from Wayne about his role with Android wear. As somebody that is personally skeptical of the benefits that computer watches provide, I was curious to hear his thoughts on wearables. Wayne discussed the fact that all Android Wear watches now have round screens. While these screens aim to replicate the look of a regular watch, this meant introducing a number of design challenges. As a result, much of the watch is voice controlled and most of the widgets and basic user interface is dramatically differently to the regular Android layout on a smartphone. We also engaged in a lively discussion about the possibilities for IoT in general, and the privacy and security implications. He commented that we are likely still in an exploration phases and it may be a while before a killer app comes to market. 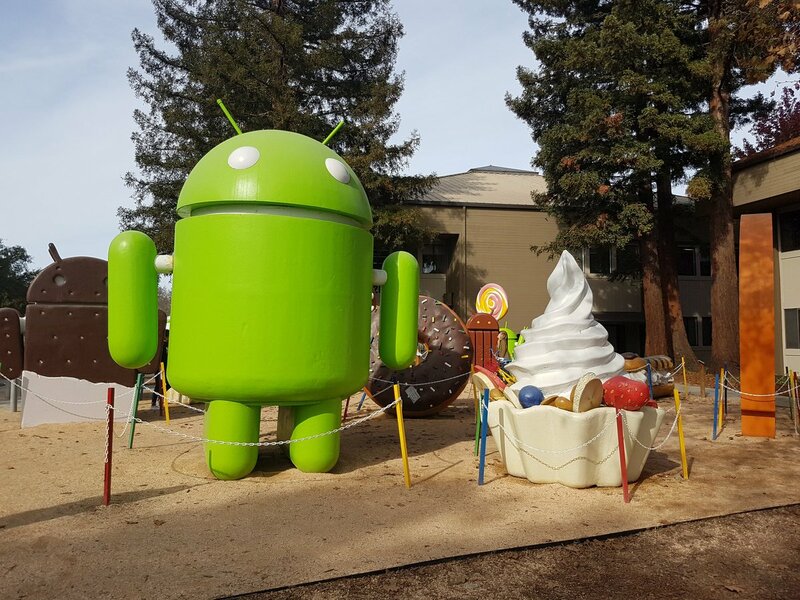 While we didn’t get to see as much of the campus as I would have liked, all in all it was a pretty interesting visit, capped off by a visit to the famous Android statues!